In the world of PPC (pay-per-click) negative keywords are often overlooked. However today, being that everyone is buying-in to the market (with the exception of big brands such as amazon, who don’t need to rely PPC advertising) it can get pretty expensive. 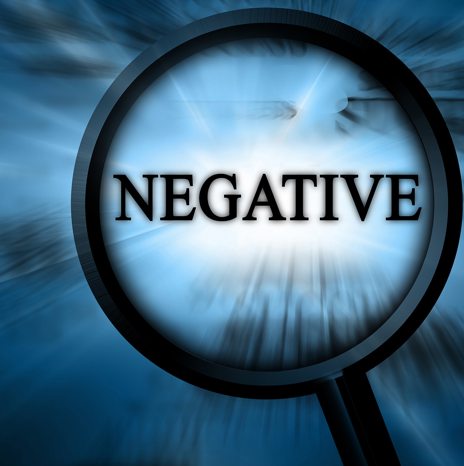 The negative keywords you choose are just as important as the positive keywords you bid on. In today’s world effective advertising is all about targeting the consumer. But not just any consumer. The right ones. So, unless you work out a plan for managing negative keywords you could easily find yourself penniless when running PPC campaigns. Negative keywords help advertisers (like you, or me, or anyone else who is using Google Adwords) filter out unwanted traffic. So you might ask, isn’t traffic a good thing? Well, yeah for the most part – it is. But like anything in life – there are exceptions. In Adwords, a negative keyword is marked with a minus sign at the start of the word. For example, -blue -[blue], or -“blue” are all considered negative keywords. Just like regular keywords, negative keywords can also use three match types. For more on these, take a look here. Say Sam has a flower shop. It’s a small shop and he only carries a few flowers (say, roses and daisies). Some flower shop, eh? Well, Sam makes an Adwords campaign and uses the positive keyword flowers (broad match type). Joe, a possible consumer opens Google and is looking for flowers for his girlfriend. But Joe’s not looking for just any flowers. He’s looking specifically for international flowers. (His lady likes them). And so, one afternoon, Joe visits Google’s browser and types international flowers into the search query box. At a drop of a hat, Sam’s ad pops up and Joe clicks on the ad. Is it a win for Sam the flower shop man? With just one quick glance at Sam’s website – he doesn’t find what he’s looking for. Joe leaves Sam’s website and performs his search again. This time Joe finds an ad that specifically says international flowers. He clicks on the new ad, finds what he’s looking for, and his girlfriend is happy. Sam on the other hand, is not. He just had to pay a dollar for the broad match keyword flowers and has found he keeps getting clicks but no sales (conversions). Had Sam known about the negative keyword option – he could have saved quite a bit of money. So let me reiterate, if you’re paying for traffic – don’t only pay attention to positive keywords. The earlier you start managing negative keywords, the better your ad campaign will perform. The better your ad campaign performs, the more conversions you will get. It’s a win win with a negative keyword.